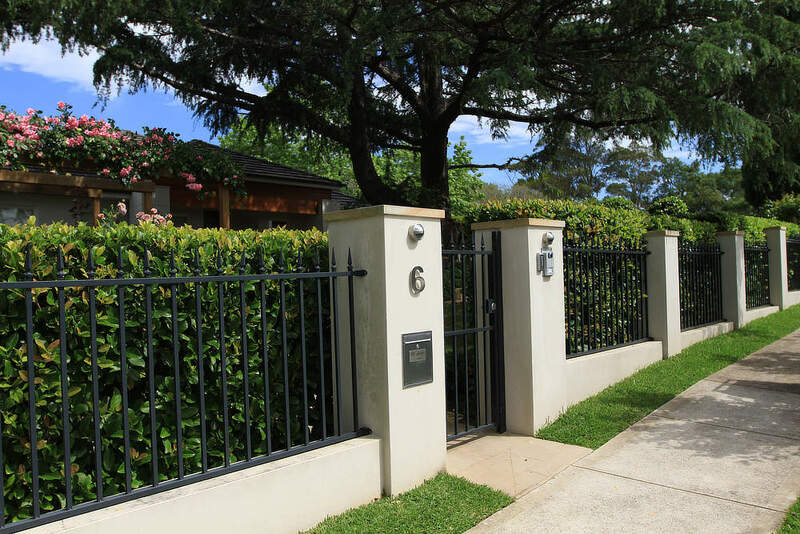 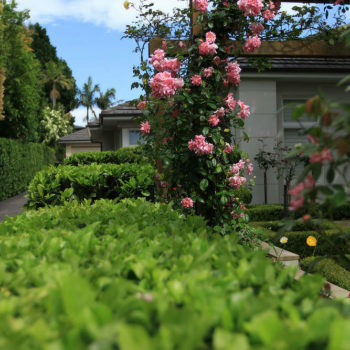 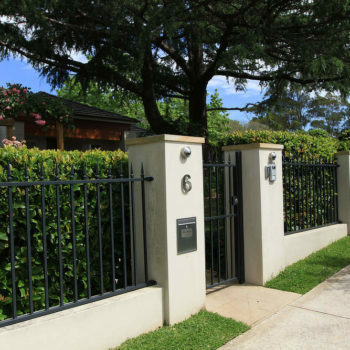 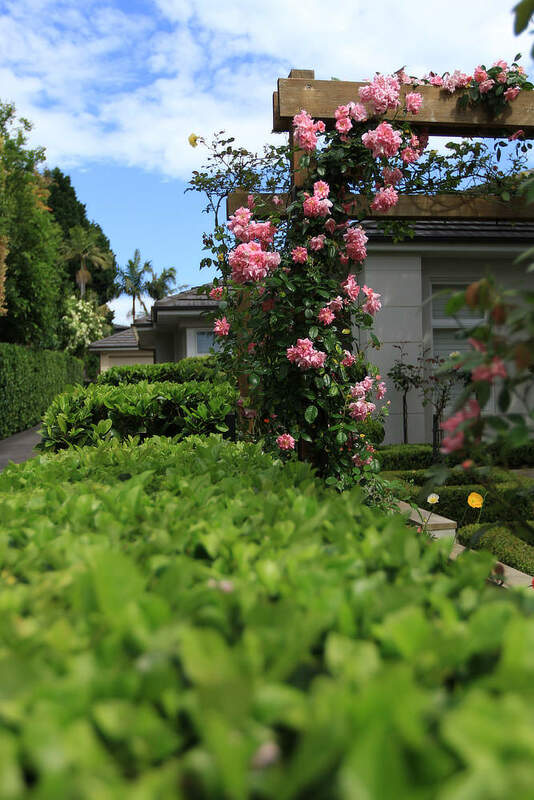 This medium sized front garden in Sydney’s prestige suburb of St Ives is a real plant lovers dream. 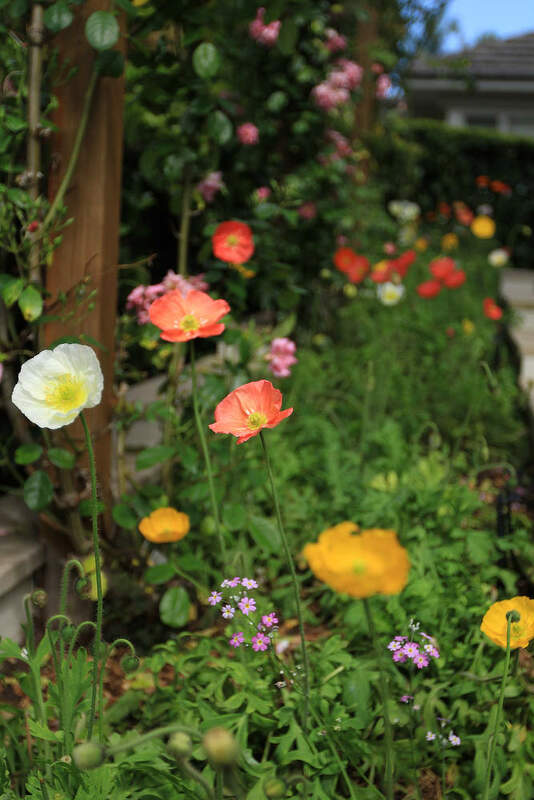 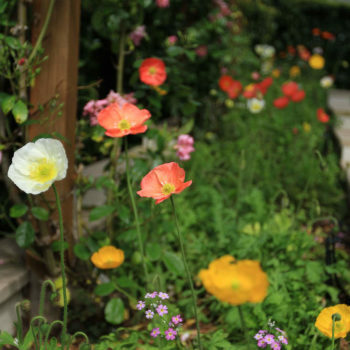 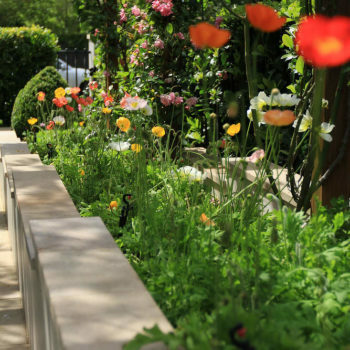 The design intent for this space was to turn the wasted front garden space in to a feature that could be used and enjoyed, maximising the size of the entire block and to create a space people wanted to go back to time and time again. The space was dominated by a large Deodar tree that was incorporated into new composite decking turning the negative of a dominant tree into a huge positive. 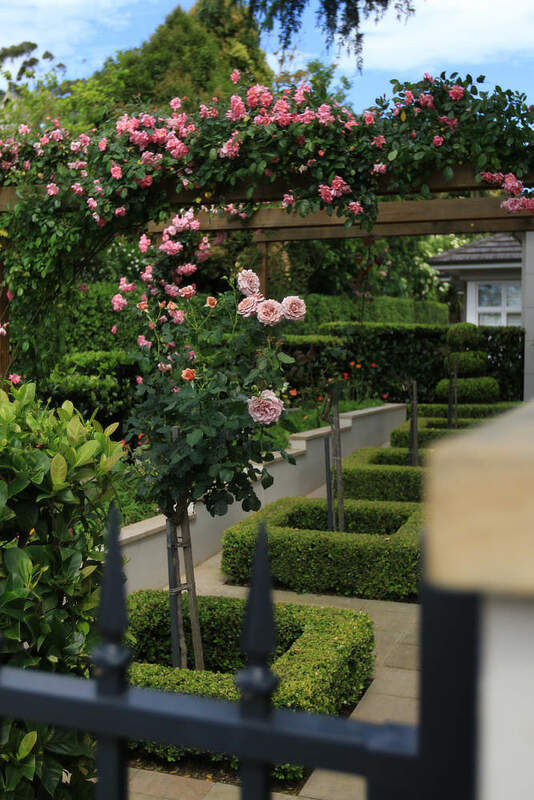 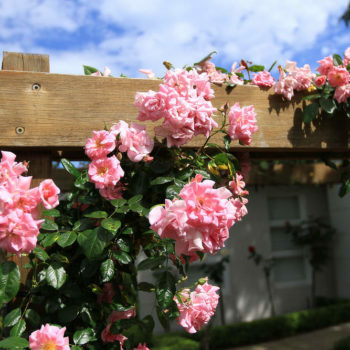 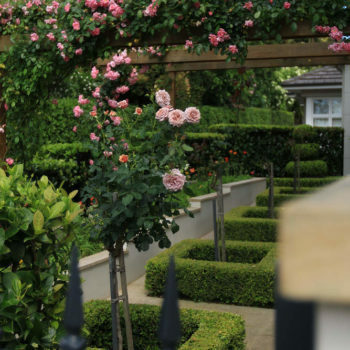 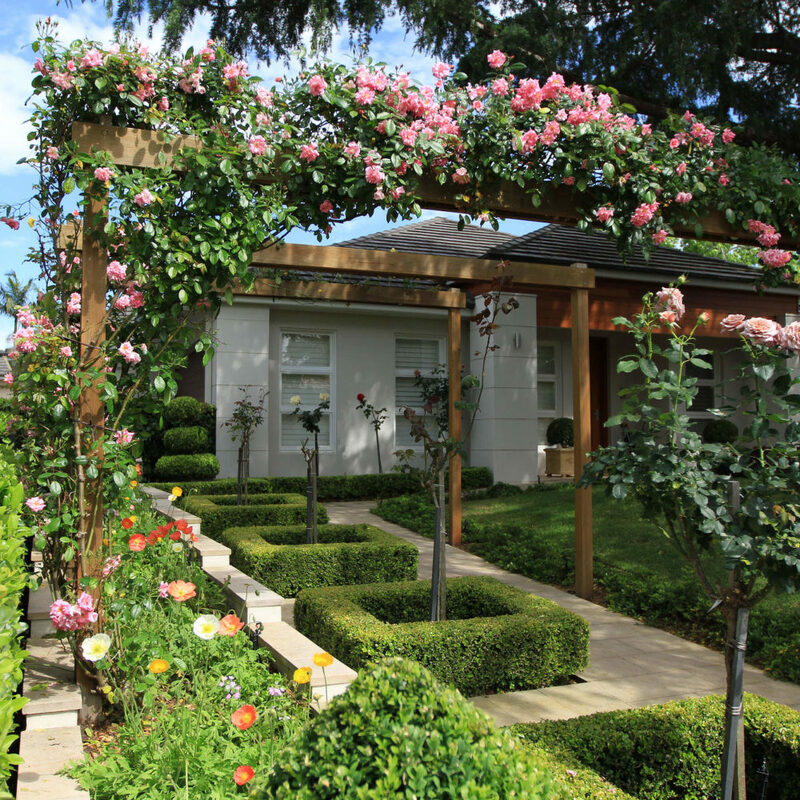 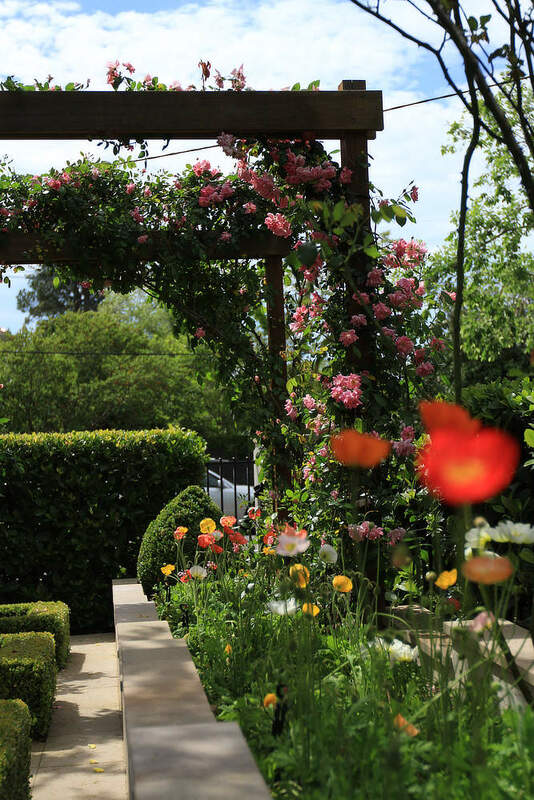 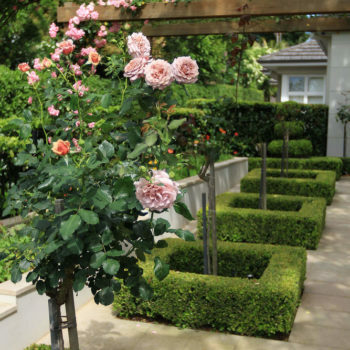 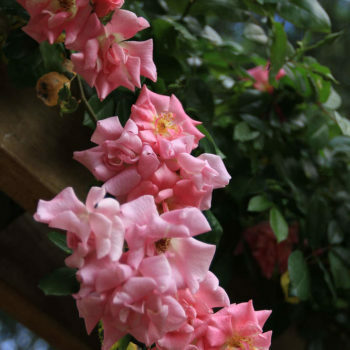 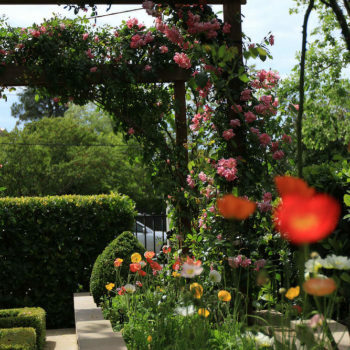 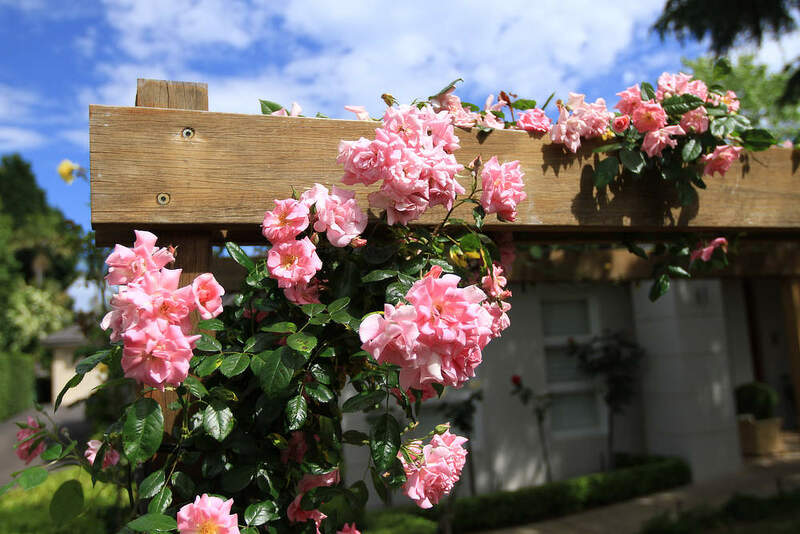 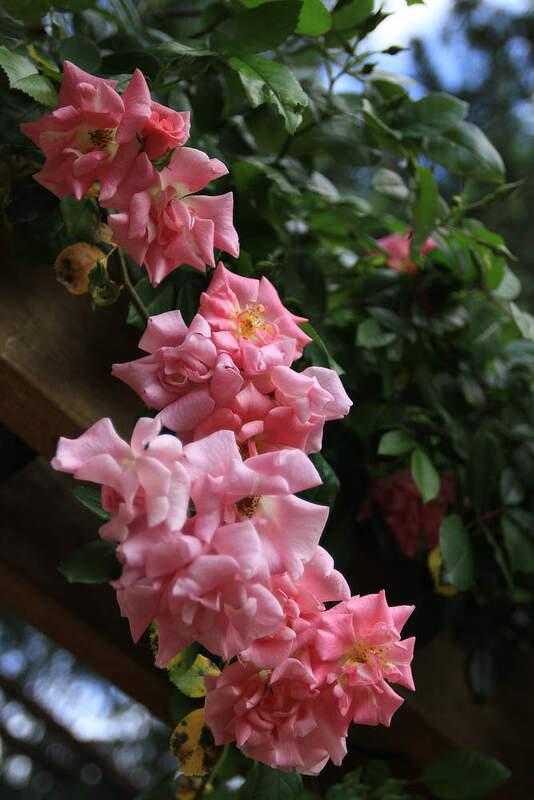 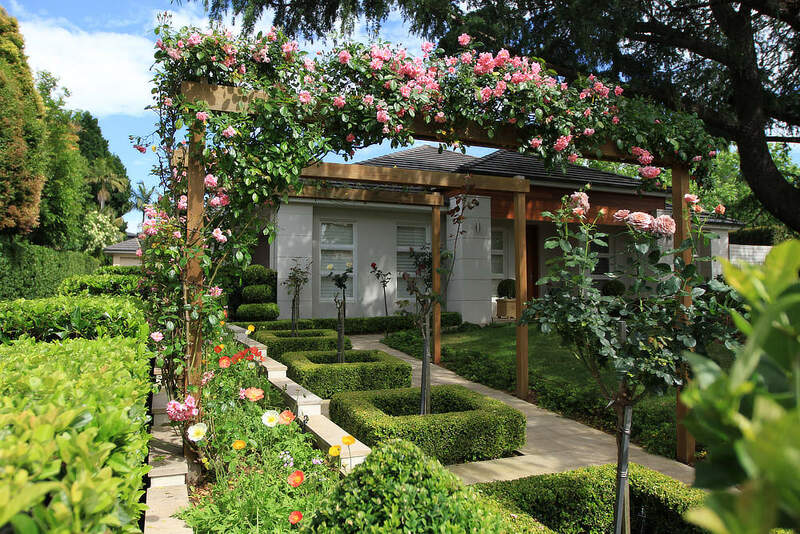 The entry into the garden walks the owners under scented climbing roses flanked by colourful annuals in raised garden beds. 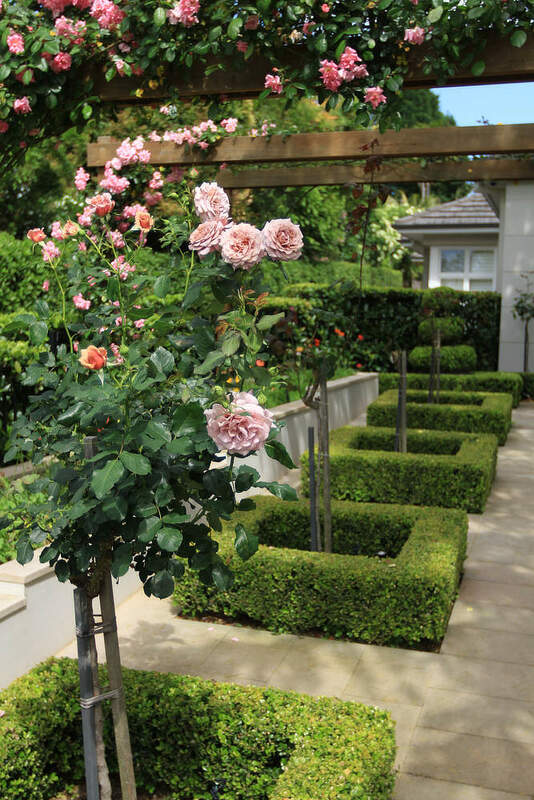 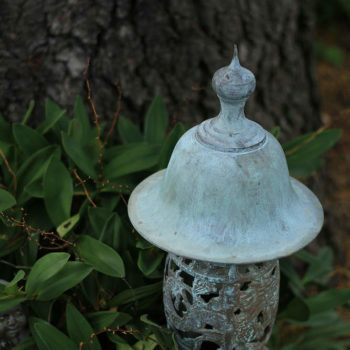 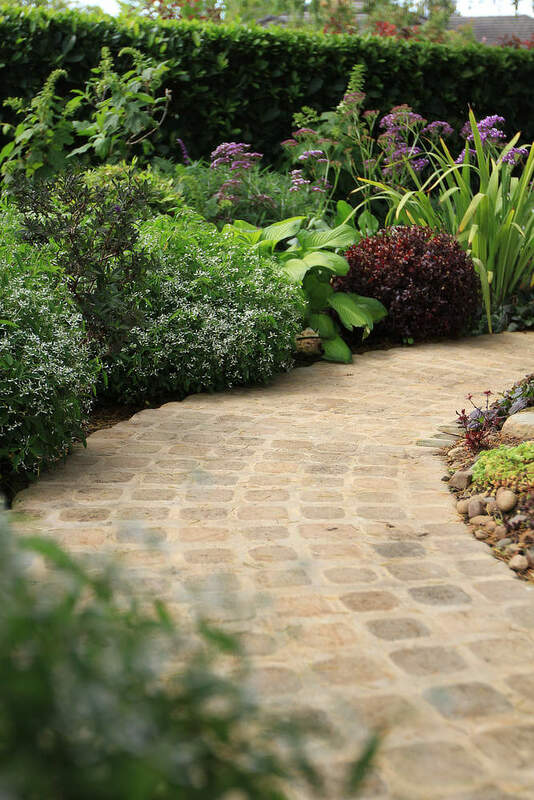 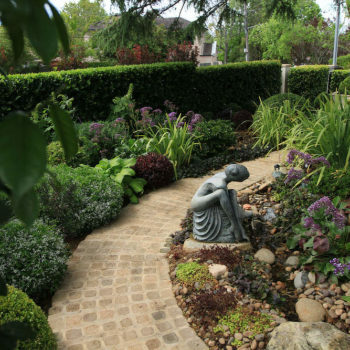 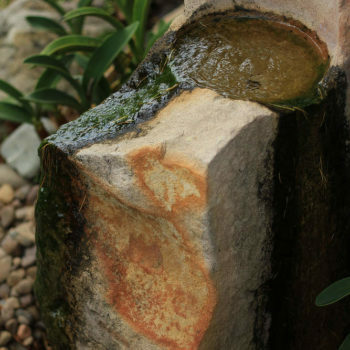 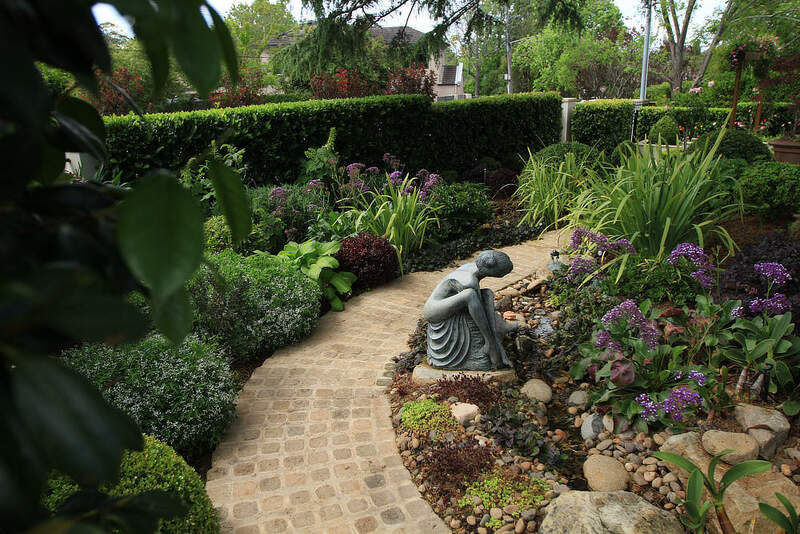 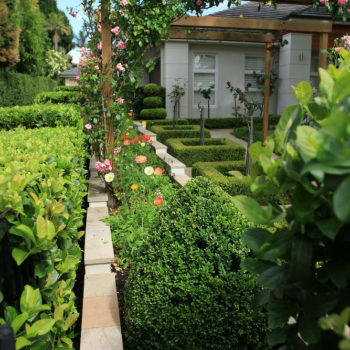 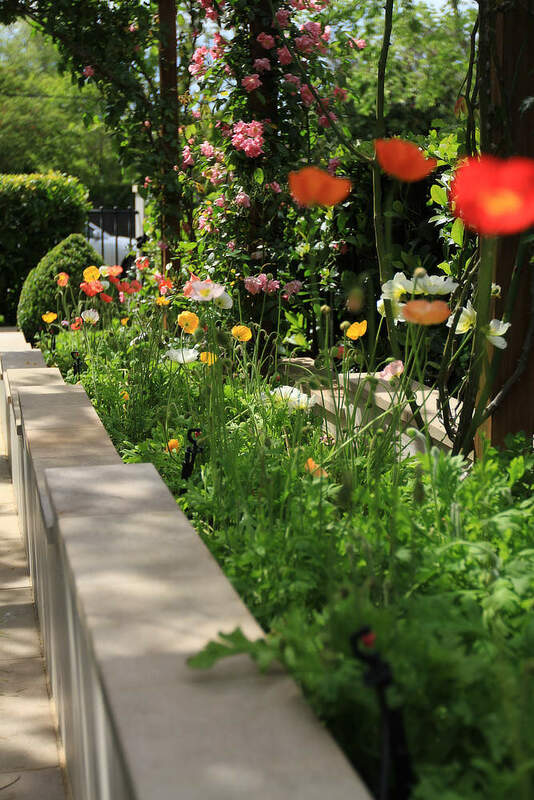 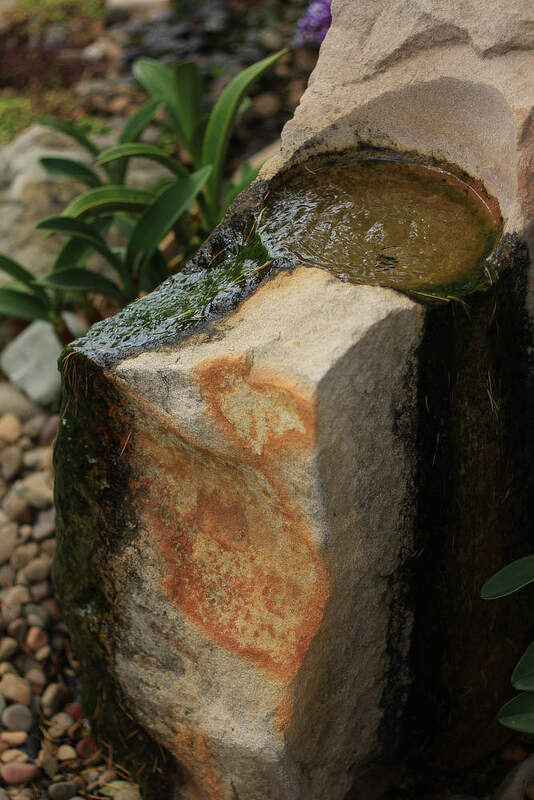 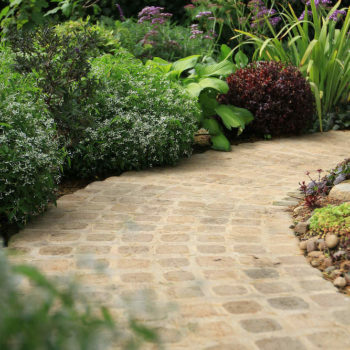 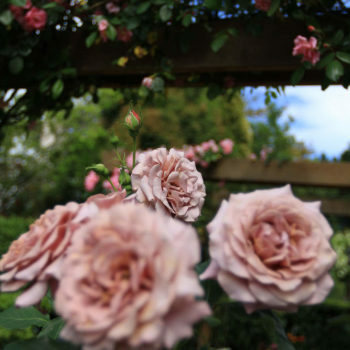 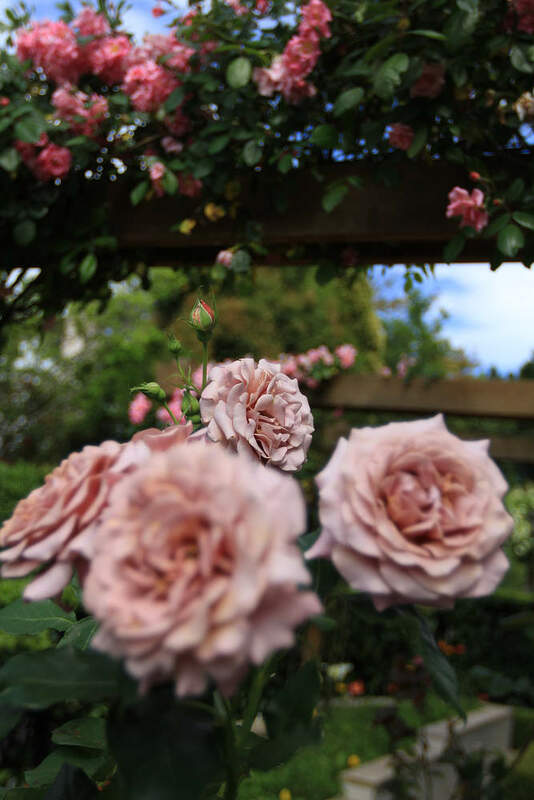 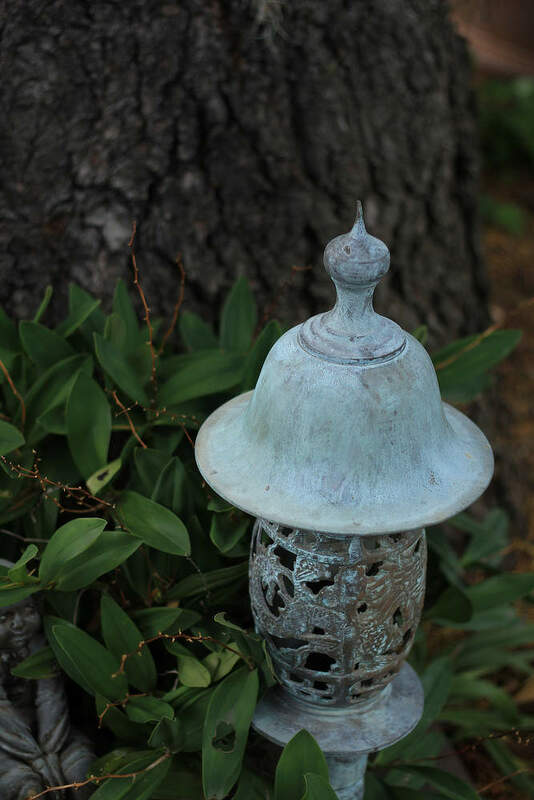 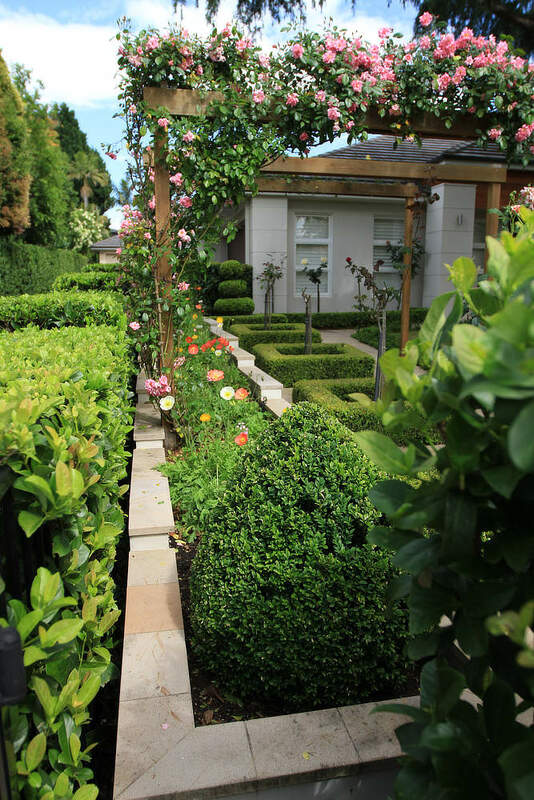 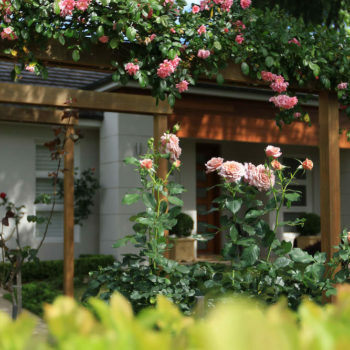 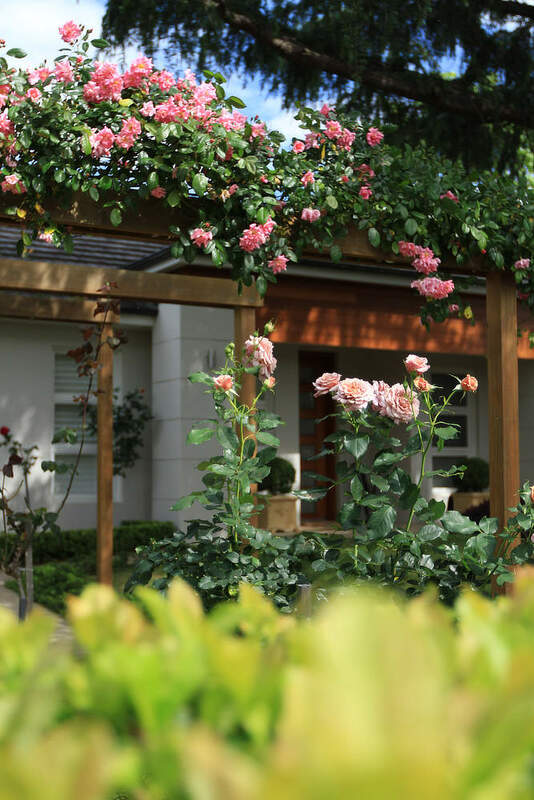 Structured formal plants combine with flowering perennials soften the built elements in the garden with a winding sandstone cobble path walking the owners past various water features and exotic plants, individually tailored to the owners love of horticulture.